Delicious vegan, gluten-free, and soy-free organic chocolate bar. A super alternative to regular milk chocolate! Ingredients: Cocoa solids* [45%] (cocoa butter, cocoa mass), sugar* [35%], rice powder* [20%], sunflower lecithin (emulsifier) & natural flavoring. *Organic ingredients. 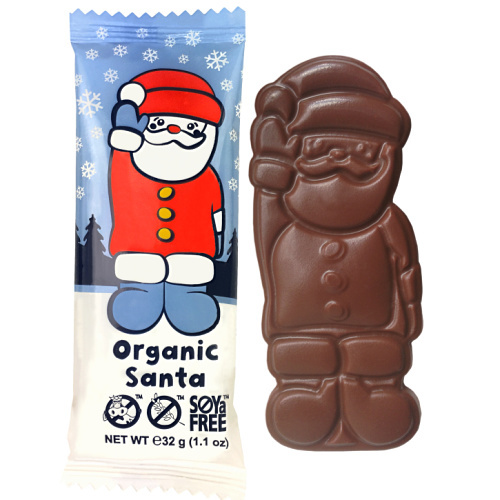 Chocolate santa is 32g (1.3oz) and approximately 4.5"x1.75"x0.5".